Welcome to GVH! Interested in seeing what were all about? Write me and/or come to a few of our workouts before joining – we welcome visitors! See what we do, meet our folks and then make a decision if you’d like to be a part of our club. We work hard to improve our running and get positive results . . . At the same time we’re there for lots of fun and camaraderie. Much of your success is up to you and how much you commit yourself to implementing a targeted training plan, support our team approach and implement a healthy lifestyle. Dues paying members have access to our monthly training schedules that are posted on this site and presented at workouts. If you have a particular race in mind that you would like training advice for, need tweaking of the current schedules, have an injury, or just need general advice, see me at a workout or email me at coachmr@rochester.rr.com Most of our workouts are on Tuesday’s and Thursday’s from about 5:30- 7:30 PM. Many of us also run together on Saturdays with the Oven Door Runners in Bushnell’s Basin at 6:30 am for long runs on the roads or trails. See: http://odrunners.org/tiki-read_article.php?articleId=23 for the route and time options on a given day. 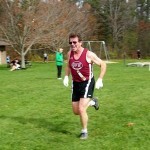 Some run at Mendon Ponds Park on Sundays at 9 am starting at the Beach Parking lot. From late December until mid March many of our members run at RIT’s indoor tracks. A facilities Athletic membership is required as well as to be sponsored by an alumni, student or faculty member. Some folks train for indoor track events while others are preparing for Spring marathons or other road races. Core work and strength training generally follow our workouts at this outstanding facility however access is variable depending on your schedule and that of some of the RIT teams using the facilities. From mid March to mid May we workout at Cobbs Hill Park on the Reservoir Road. This venue provides great hills and trails for those seeking strength and endurance for the spring track and road race season. 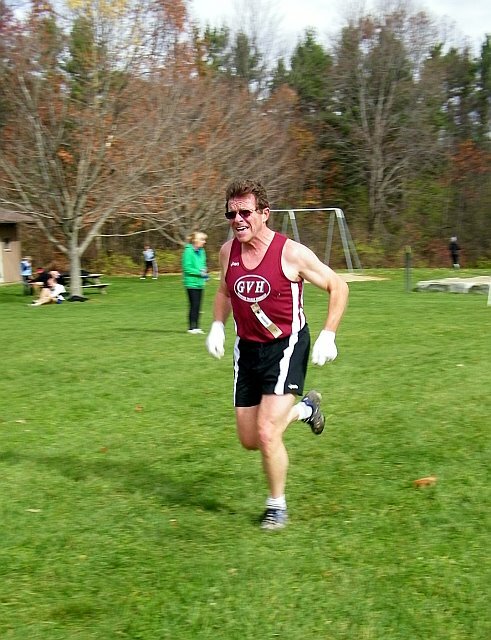 Starting in mid May through late August we meet at the Nazareth College outdoor track off East Avenue in Pittsford (also off French Road near Medved). Track, roads, and trails are used based on individuals’ needs and availability of the track. Generally workouts last an hour to an hour and a half. We finish up with a mile or two cool down run, core exercises and stretching. On Thursday nights in August we have GVH’s Innovative Edge Sports Summer XC series races at Cobbs Hill Park at around 6PM. These are good low key races to prepare for the fall XC season, including 4 kid races and a 5K XC race. The last Thursday night concludes with the “Tour de Pain”. From late August through December – workouts are at Cobbs Hill Park (near Lake Riley behind basketball courts) on Tuesdays and at Genesee Valley Park, in the Glen on Thursdays. We remain in those locations until daylight savings time at which time we return to the Nazareth College track, Univ. 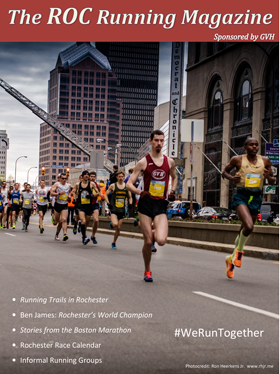 of Rochester or roads in preparation for sending teams to the USATF National Club Cross Country Championships in early December.